Dupattas add grace to the look and style of a woman. It is perplexing and overwhelming to talk about the kind of variety that the dupatta embodies. 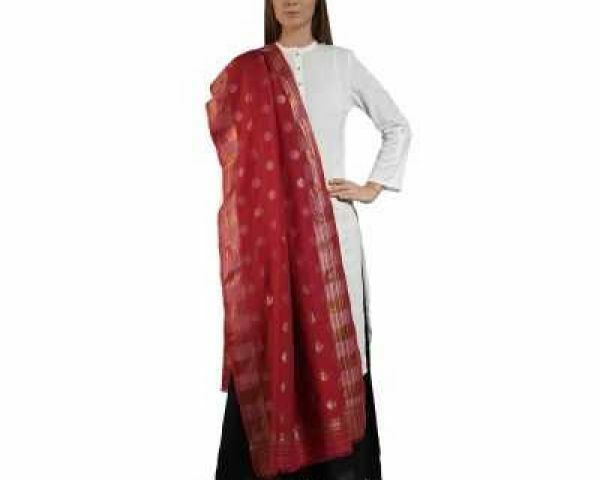 Shingora has exquisite collection of new designer dupattas online. Browse through some classy and premium dupattas on Shingora and embrace your style in fashion. Link xxxx.xxxxx.xxxxxxxx.xxxxx.xxxx. Shingora is an online e-commerce company in India which provides and exquisite range of designer... Shingora is an online e-commerce company in India which provides and exquisite range of designer shawls, stoles, dupattas, hijabs, wraps and shrugs, ponchos and many other apparels.